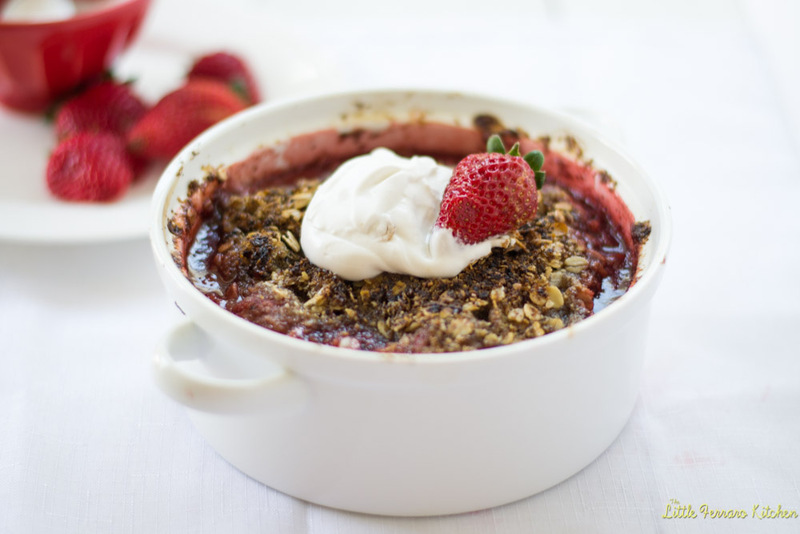 I was really hoping to call this “strawberry RHUBARB crumble” and not just simple strawberry. Which is not a bad thing..strawberries are becoming plentiful and sweeter as we dip deeper into the warmer months, but I was really hoping to finally work with rhubarb. 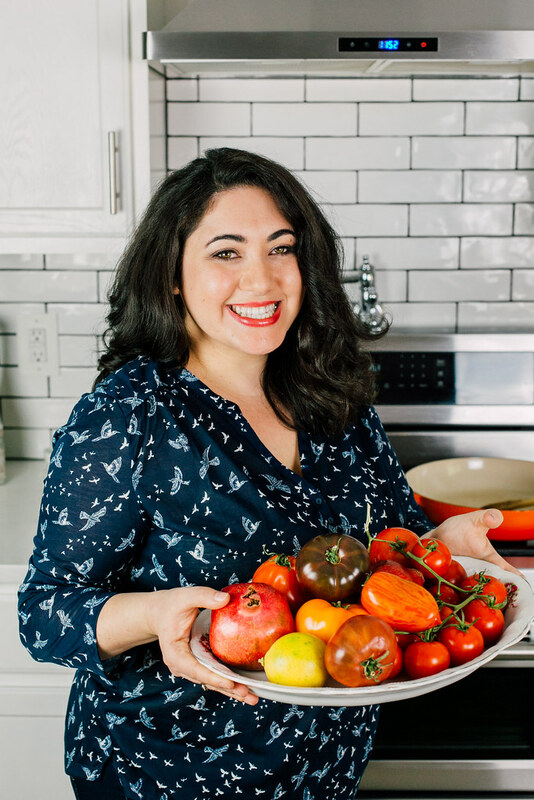 For as long as I can remember, my mom has always said she loves rhubarb, probably for the same reason I want to- it’s tart and not sweet which is what my taste buds crave naturally. I never really “crave” a cake or anything along those lines, but something that’s acidic and savory always wins me over. I finally found rhubarb after 3 grocery store visits and they even had it for an entire day at my local Whole Foods. But now…wham…gone! No rhubarb anywhere! I feel like this needs to be an epic treasure hunt of the spring rhubarb. Will I ever find it again? Will I ever get to experience slicing into the red stalk and tasting it’s cutting bite? Even tough I am usually a savory tooth-head, I do need a bit of sweet here and there. This usually happens after dinner when my savory tooth has been satisfied and I ache for a minimal sweet treat to end the night. I don’t need an entire slice a cake or even a bite of a cupcake. Something fresh, floral with texture. Something like strawberry crumble. 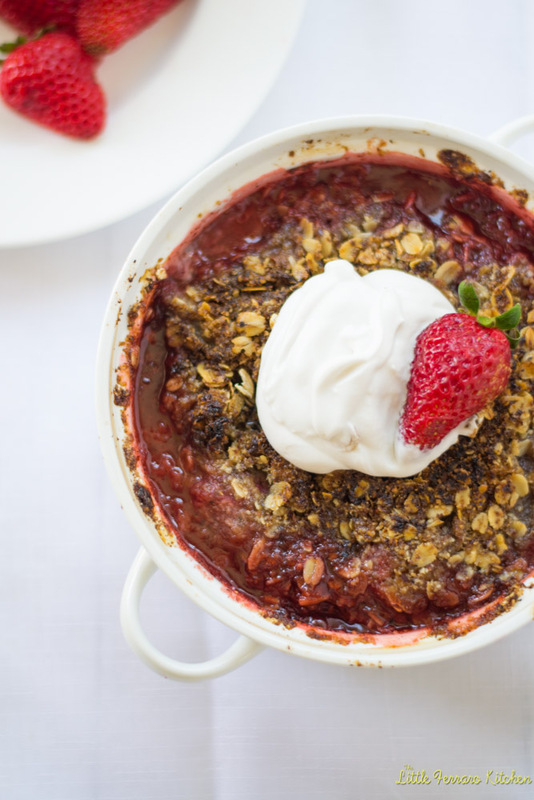 This strawberry crumble has an interesting addition of hazelnut meal, thanks to one of our Brunch week sponsors, Bob’s Red Mill. It is basically very finely ground hazelnuts, almost to a powdery consistency and the with the flavor of hazelnuts is still pronounced. To continue it’s flavor, I added a “generous” dash of hazelnut liquor to the strawberries, but not too much to overpower. And the best part of this crumble…..coconut whopped cream! Oh my..I don’t think I will ever go back to dairy cream again. Just because it tastes so amazing! I’ve posted about coconut whipped cream before, and it does take a bit of planning. But I promise you, the end result is so worth it. You won’t be getting that spoon away from the bowl! In a bowl, mix togetehr all the topping ingrdients. Use your fingers to work in the butter and break it up so it is evenly distributed. Next, in another bowl, mix together all the filling ingredients and then pour it into an oven safe dish. I used my 6 cup souffle mold which fit perfectly. Top with oat topping, gently pressing down. For the coconut whipped cream, please click HERE for recipe. Allow crumble to cool for at least 15 minutes. Then top with coconut whipped cream. And please check out what everyone else made for #BrunchWeek as well as our GIVEAWAY! Please go HERE for enter Giveaway! Coconut whipped cream is totally my jam lately! I love it! And paired with a strawberry hazelnut crumble? GIMME! Pinned! Total fan favourite in our house and that whipped cream is perfect! 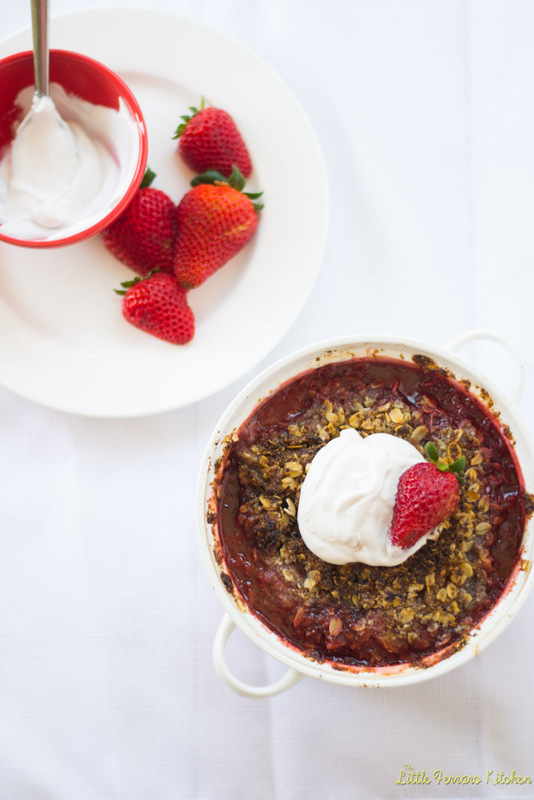 Your strawberry crumble looks terrific! I just bought a second rhubarb plant for the garden…hoping I’ll one day get a big enough crop to actually bake something with it!!! I typically am the opposite way. I’d like a little savory after a whole lot of sweet. 🙂 Hazelnut crumble, you say? I think this needs to happen in my kitchen. This sounds so yummy, Samantha! I’m sure it was frustrating not to find the holy grail of rhubarb, but it looks like it turned out great even without it. 🙂 I think the flavor combo here of hazelnut, strawberry & coconut is perfectly springy! Thanks Dianna!! I do think I have found rhubarb and will pick some up for the weekend..I am so thrilled! Now what to make? Oh boo, I was just thinking of starting to experiment with rhubarb. Let’s hope these rhubarb farmers get their crops going soon! I think you turned your original recipe idea into something equally as lovely! I love hazelnut anything. . can’t wait to try this! looks so good! Yum! Love that we both made a fun kind of whipped cream. Your Ceumble looks wonderful and decadent. My mouth is watering. Hahhaha it actually does serve 4, since I fed it to my cousins and husband lol Thanks gf! looks like a yummy breakfast!